Almost two decades ago, the Democratic Republic of the Congo (DRC) was confronted with a vicious cycle of internationalised armed conflicts in which between six and ten million people are estimated to have been killed. 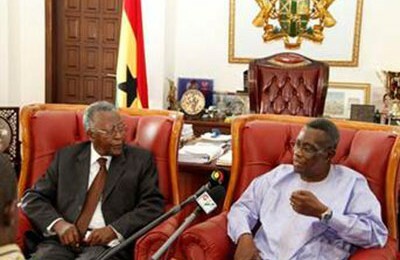 Those conflicts were resolved through peace agreements between the leaders of the warring parties, leaving affected populations to their predicaments. From among the mechanisms during peace talks aimed at dealing with the past, the Congolese opted for an international ad hoc tribunal and a truth and reconciliation commission (TRC). Unfortunately, the United Nations was unwilling to establish such a tribunal in the DRC and the TRC put in place did not investigate a single case. Therefore, the DRC lost opportunities to hold accountable alleged perpetrators, establish the truth of the past, promote reconciliation, and prevent further violence. The subsequent resumption of conflict is the result of failing to address the past. After the stabilisation of the country, a combination of judicial and non-judicial mechanisms of transitional justice could respond to past abuses and contribute to the peacebuilding process in the DRC. Hence, this paper endorses as a judicial mechanism, in addition to the International Criminal Court (ICC), the establishment of a hybrid international tribunal to hold accountable those who bear the greatest responsibility for events since 1996. This paper also endorses the promotion of the non-judicial indigenous mechanism Barza intercommunautaire to help resolve low-level disputes and pave the way for a new TRC that could promote reconciliation, formulate recommendations on institutional reform, identify criteria for the lustration and vetting process, identify victims and recommend reparations. For almost two decades (1996–2015), the DRC has been confronted with a vicious cycle of internationalised armed conflict in which horrendous human rights abuses and serious violations of international humanitarian law have been (and are still being) committed. Between six and ten million people have been killed as a result of various armed conflicts since 1996. Regarding the many peace efforts undertaken, there is hope in the eastern DRC that all national and foreign armed groups will be defeated by the DRC Armed Forces or Forces Armées de la République Démocratique du Congo (FARDC), fighting alone or in coalition with the Intervention Brigade of the UN mission in the DRC, and that the country will begin reconstruction efforts. After violent conflicts that have created hatred among people, in order to move on, the nation must be rebuilt. Various activities can help to transform the conï¬‚ict into efforts to restore peace, which are described as peacebuilding. Indeed, peacebuilding is a process involving diverse actors in government and non-governmental organisations to address the root causes of the conflicts, trying to prevent their recurrence in order to build a sustainable, peaceful future. According to ACCORD (2013:11), peacebuilding seeks to help people recover from, prevent, reduce and transform violence. Abdalla (2009:49) argues that peacebuilding refers also to rebuilding relationships that have broken down between conflicting parties. The aim of this paper is to analyse the application of peacebuilding as an approach to dealing with past abuses through transitional justice mechanisms, because the situation ‘requires a clean break from past injustices so as to prevent their recurrence’ (Buckley-Zistel and Zolkos 2012:3). In order to rebuild the country and achieve a sustainable peace, it is important for people to talk about what happened to them or their loved ones in order for victims to know the truth. Hence, Borello (2004:13) concurs that transitional justice seeks to restore the dignity of victims and to establish trust among citizens and between citizens and the state. Kerr and Mobekk (2007:3) agree that the aim of transitional justice is to contribute to sustainable peace and rebuild a society based on the rule of law. In this light, each transitional justice mechanism, De Greiff (2010:22) asserts, may have its own aim, but all of them pursue the goal of providing recognition to victims as individuals and as victims, but also, and most fundamentally, as bearers of rights. The guiding question of this paper is how transitional justice mechanisms dealing with the past can contribute to a sustainable peacebuilding process in the DRC. The paper begins with a brief review of the literature on peacebuilding in the DRC, followed by an analysis of the mechanisms of transitional justice. It then presents a brief overview of the different armed conflicts and high-level attempts at addressing the past. Next, continued challenges to dealing with the past are analysed, followed by a discussion of Barza intercommunautaire. Lastly, concluding remarks are presented. Only a small portion of the research on peacebuilding in the DRC focuses on the legacy of past abuses. Among those, the research conducted by Lotze, De Carvalho and Kasumba (2008:31) acknowledges that the DRC is confronting many challenges, including a lack of national ownership of the peacebuilding process and a lack of capacity to implement coherent structures. Thus, authors find that sustainable peace will only be achieved when peacebuilding structures and activities are owned and driven by the Congolese people. Besides, the International Crisis Group (ICG 2009:13–19) identifies five priorities as part of a peacebuilding strategy for the eastern Congo. They are: implementing an effective anti-FDLR1 strategy; refocusing Security Sector Reform (SSR) on results in the east; fostering reconciliation and human security; improving governance; and sustaining stabilisation of regional relations. These correspond with transitional justice mechanisms because defeating and disarming the FDLR will help to recover areas previously under their control and therefore restore state authority, promote reconciliation and improve security. The FARDC is an integrated army made up of various armed groups; the SSR will help the FARDC to improve its capacity (including training in international humanitarian law and human rights), strengthen the management of military justice and therefore, it is hoped, eradicate the culture of impunity. With regard to regional relations and the culture of impunity, Carayannis (2009:5–6, 13) finds that neglect of justice in efforts to build peace, non-compliance with peace agreements and bad faith in the bilateral relations between the DRC and Rwanda have foiled a number of attempts to resolve conflict. Therefore, she suggests that any efforts to address impunity in the DRC wars have to address Rwanda’s role in them; and as long as efforts to build peace in the DRC neglect that relationship, these efforts will fail. In order to end the culture of impunity regarding crimes committed by members of armed groups and of the FARDC, Davis (2009:7, 24) observes that holding individual perpetrators to account, truth seeking, vetting and SSR as transitional justice approaches will establish trust among citizens and between citizens and the state. This is a more suitable way of dealing with the past than rewarding past abusers with important positions within public institutions. In the DRC, as a result of armed conflict, development and reconstruction projects were blocked and hundreds of thousands of civilians were killed (and are still being killed) by members of foreign and domestic armed groups and members of foreign and national armies. Through peace agreements, members of armed groups who fought in the conflicts were promoted and integrated within the security forces without being held accountable for their deeds. Fighting against armed groups is still ongoing and crimes continue to be committed. In this regard, the ICC has prosecuted only a handful of perpetrators and very few at domestic level. Besides, the TRC established in 2003 ended in 2006 without success. Research undertaken mentions the lack of security, lack of capacity to deal with widespread violations, and lack of political will to enable the judiciary to try such cases as the most important obstacles to prosecutions in the DRC (Borello 2004:17–26; Savage 2006:6–7; Davis and Hayner 2009:25–27; OHCHR 2010:§1014–1018). With regard to the TRC, researchers conclude that it must be reactivated in order to establish the truth of what happened in the country (Borello 2004:45; Davis and Hayner 2009:22; OHCHR 2010:§1065–1069). Furthermore, the persistent public demand for truth and justice through different peace agreements provides another reason for conducting this research because the aim of transitional justice is to deal with the legacy of large-scale past abuses, address the root causes of armed conflicts and contribute to the processes of peacebuilding. [T]he full range of processes and mechanisms associated with a society’s attempts to come to terms with a legacy of large-scale past abuses, in order to ensure accountability, serve justice and achieve reconciliation. These may include both judicial and non-judicial mechanisms, with differing levels of international involvement (or none at all) and individual prosecutions, reparations, truth-seeking, institutional reform, vetting and dismissals, or a combination thereof (UNSC 2004:4). As mentioned above, societies in transition may adopt a holistic approach of judicial and non-judicial mechanisms or combine them in order to respond to past abuses. Kofi Annan has suggested the following framework for transitional justice: criminal prosecutions, truth commissions, reparations, institutional reform, and a vetting or lustration process. As the list is not exhaustive, memorialisation, amnesty and traditional dispute settlement systems may also be considered. Indeed, when moving from massive violations to a peaceful future, transitioning societies are often confronted by the dilemma of whether to impose criminal sanctions in pursuit of legal justice or employ non-criminal sanctions to facilitate reconciliation and rebuild the nation. Dealing with apartheid-era crimes, the Republic of South Africa (RSA) is considered worldwide to be the ultimate model of how a TRC can contribute to the promotion of national reconciliation. In this regard, the Epilogue of the Interim Constitution of the RSA provides that ‘there is a need for understanding but not for vengeance, a need for reparation but not for retaliation, a need for ubuntu but not for victimization’ (Doxtader and Salazar 2007:5). Therefore, Sarkin-Hughes (2004:371) argues that ‘the TRC has helped to uncover at least some truth about what occurred in South Africa. It has helped to piece together some of the many human rights abuses that occurred. It has also imbued the new government with a degree of human rights respectability’. Besides, the process of granting individualised amnesty for politically motivated crimes has encouraged perpetrators to make full disclosure in order for victims or their dependants to know what really happened and to receive recognition by the new nation that they were wronged (AZAPO and Others v President of the Republic of South Africa and Others 1996 (8):§17). However, for those who did not apply or to whom amnesty was denied, the TRC recommended prosecution where evidence exists. Thus, the Office of the National Director of Public Prosecutions has investigated more than 400 post-TRC cases (Nerlich 2008:109). Unfortunately, at the time of writing there are survivors still waiting for justice, but there is no political will to bring this about. Consequently, some of the alleged perpetrators of injustice who were fighting against apartheid became senior politicians, and highly-placed figures of the apartheid regime retired in luxury. In the same way, Nabudere and Velthuizen (2013:46) argue that ‘[w]hat is significant, however, is that the engineers of apartheid and the violence mongers among the leadership of the liberation movement were not brought to justice’. For these reasons, in the case of the DRC, the combination of judicial and non-judicial mechanisms of transitional justice seems to be a feasible way of responding to past abuses and contributing to the peacebuilding process. Judicial mechanisms of transitional justice include national judicial prosecution, if national courts and tribunals have the capacity and if they are independent. Failing this, as was the case in the former Yugoslavia, in Rwanda and in Lebanon, the UN Security Council has a duty to establish an international ad hoc tribunal when crimes committed constitute a threat to international peace and security. There are also hybrid tribunals composed of international and local judges created by a treaty or an agreement between the UN and the government concerned. To this list can be added the International Criminal Court (ICC) exercising its jurisdiction when states are unwilling or genuinely unable to carry out the investigation or prosecution. Among judicial mechanisms, there is a case to be made that, in addition to the ICC, the establishment of a hybrid international tribunal is crucial in order to hold accountable those who bear the greatest responsibility for planning or ordering atrocities in the DRC since 30 June 1960 and those who still commit such atrocities. This was among the recommendations of delegates to the Inter-Congolese Dialogue (ICD) held in Pretoria, South Africa, in 2002. Resolution No. DIC/CPR/05 of the ICD recommended that crimes under international law that had been committed since 30 June 1960 and those committed during the armed conflicts of 1996 and 1998 that remained unpunished be prosecuted by an ad hoc criminal court (ICD 2002). In his address to the UN General Assembly on 23 September 2003, President Kabila requested the establishment of an ad hoc international criminal tribunal for the DRC, but the UN was unwilling to do this (Mpongola 2010:182). Indeed, the Rome Statute establishing the ICC came into force on 1 July 2002, with the determination to put an end to impunity. Its Preamble recalls ‘the duty of every State to exercise its criminal jurisdiction over those responsible for international crimes’ by emphasising it as ‘complementary to national criminal jurisdictions’ (CPI-ICC 2011). The ICC exercises its jurisdiction over persons for war crimes, crimes against humanity, genocide (Article 5), and aggression committed only after 1 July 2002, in accordance with the principle of non-retroactivity ratione personae (Article 24). For this reason, the court cannot deal with crimes committed in the period between 1996 and June 2002. That is why in the context of the DRC the establishment of a hybrid international tribunal composed of international and Congolese judges remains crucial for dealing with crimes not covered by the ICC’s jurisdiction. However, the national judicial system will avoid dealing with the past for various reasons. The national courts and tribunals that have jurisdiction over international crimes are unable to investigate large-scale serious crimes and prosecute large numbers of perpetrators due to lack of capacity and insufficient budget, among other challenges. Invoking the peace-versus-justice dilemma, President Joseph Kabila stated that ‘he faced a difficult choice between justice and peace, stability, and security in eastern Congo. Then his choice was to prioritize peace’ (HRW 2010:14). Thus, attempts to postpone justice in favour of stability have prompted the government to promote Congolese warlords and grant them important positions within the government, the army and the police. Failing to hold to account former Congolese warlords, under whose command and authority crimes have been committed since 1996, has created a vicious cycle in which some of those integrated into the army and police deserted and enrolled in new rebel groups, hoping to be rewarded with high positions in exchange for laying down their arms. Besides the lack of political will to hold those warlords to account, it should be borne in mind that some prosecutions against Congolese soldiers were made following international pressure regarding crimes committed in the latest conflict of the Mouvement du 23 Mars (M23). However, several of the judicial actors complained about injunctions and interference in the administration and delivery of justice (OHCHR 2010:424). Therefore, the Congolese national judicial system needs to be reformed because, as Savage (2006:6) argues, from the colonial courts to Mobutu’s machinations to Kabila’s use of the courts to undermine critical opponents, the Congolese judiciary has effectively functioned at the pleasure of the executive. Non-judicial mechanisms of transitional justice include a TRC; a lustration or substitute criminal proceedings and vetting process; institutional reform; an amnesty process; reparations and building memorials. A truth commission (1) is focused on past, rather than ongoing events; (2) investigates a pattern of events that took place over a period of time; (3) engages directly and broadly with the affected population, gathering information on their experiences; (4) is a temporary body, with the aim of concluding with a final report; and (5) is officially authorized or empowered by the state under review (Hayner 2011:11–12). A lustration or vetting process is also known as screening, disqualification or purging. A number of scholars and practitioners (Smith 2012:148–149; Nalepa 2011:2; Van Schaack and Slye 2010:6–9; Teitel 2000:164) describe lustration as a process to remove or limit access to public office in the cases of those who committed crimes in the past. As there is a risk of those removed from the security sector re-enrolling in rebel groups, projects of national interest must be established in order to integrate them. The vetting processes, as asserted by Kova (2007:54), calls for those involved in past human rights abuses to take individual responsibility. Institutional reform, according to the International Center for Transitional Justice (ICTJ n.d.), is the process of reviewing and restructuring public or state institutions so that they respect human rights, preserve the rule of law, and are accountable to their constituents. It can include many justice-related measures, such as vetting; structural reform; oversight; transforming legal frameworks; disarmament, demobilisation an reintegration; and education. The granting of an amnesty, Van Schaack and Slye (2010:978) argue, is one of the most common responses of governments to abuses by their own officials or by their opponents in order to move on. Amnesties provide an individual with immunity from legal accountability, usually both criminal and civil liability. However, they are irrelevant for crimes under international law because they are imprescriptible, or, they are not subject to any limitations of time for them to be prosecuted. All wrongful acts committed by warring parties (state and non-state actors) need reparation that may be in the form of restitution, compensation, rehabilitation, material or moral reparations, and so on. In this light, the leading opinion of the Permanent Court of International Justice (PCIJ) in the Chorzí³w Factory case outlines that ‘[i]t is a principle of international law that the breach of an engagement involves an obligation to make a reparation in an adequate form’ (PCIJ 1927:21). Reparations are an important ingredient of reconciliation and post-conflict reconstruction, and consequently an important measure of transitional justice that allocates a direct benefit to the victims. Building memorials or museums and monuments is part of symbolic reparations. According to Gavin Stamp, the idea behind them is that every single missing man or woman receives a permanent memorial (Stamp 2006:101). Memorial museums can serve to educate future generations, making them aware of past abuses and engaging them to avoid their recurrence, but memorial museums can also draw the attention of foreigners as historical sites. This section provides a brief overview of different armed conflicts in the DRC from 1997 to the present day. The first conflict began in the eastern part of the former Republic of Zaire in 1996 with the Alliance des Forces Démocratiques pour la Libération du Congo/Zaïre (AFDL). The AFDL was a coalition movement2 created on 18 October 1996 that successfully overthrew the government of President Mobutu in May 1997 in an internationalised armed conflict backed by a coalition of African states including Angola, Burundi, Eritrea, Rwanda, Tanzania and Uganda (Nzongola-Ntalaja 2002:95–97; Nest 2006:23; Kisangani 2012:117–118). Soon after bringing Laurent-Desiré Kabila to power, some of his allies began looting the minerals of the country (gold, diamonds and coltan); as a result, in July 1998 President Kabila decided to order the return of foreign armies in the DRC to their respective countries. They refused, which greatly angered the president (Clark 2010:24). On the other hand, the Rwandan and Ugandan armies also responded belligerently and consequently, on 2 August 1998, they turned against Kabila and decided to back a new rebellion, or the second armed conflict in the DRC. On 16 January 2001, President Kabila was assassinated and was succeeded by his son, Joseph Kabila, who immediately restarted the peace process. On 16 December 2002, a meeting was held in Pretoria where various elements/groups and entities involved in the Inter-Congolese Dialogue (ICD 2002) signed a Global and Inclusive Agreement on Transition in the DRC, commonly known as the Sun City Accord/Agreement. In the peace agreement, armed groups agreed to become integrated within the Congolese national army, in order to combine their efforts and to safeguard the sovereignty and territorial integrity of the DRC. Additional institutions supporting democracy were also set up, together with transitional institutions; among them was the TRC (Commission Vérité et Réconciliation) (ICD 2003: Resolution No DIC/CPR/04). The peace agreement established the objective of an integrated Congolese national army, meant to include all the previously hostile forces (ICD 2003: Resolution No DIC/CDS/04). Regrettably, General Laurent Nkunda, former commanding officer of the rebel group, the Rassemblement Congolais pour la Démocratie (RCD), refused the offer to become a general in the new integrated national army because he wanted to provide more protection to his ethnic tribe, the Banyamulenge. He had the support of several of the integrated soldiers under his previous command. In 2004, Nkunda created his own rebel group – named the Congrès National pour la Défense du Peuple (CNDP) – and began to fight against the transitional government in June of the same year; this marked the beginning of the third armed conflict. Rwanda is alleged to have played a crucial role in recruiting and delivering arms and equipment in preparation for the attack and to have participated in the fighting (Reyntjens 2009:214–215). On 23 March 2009, a peace agreement was signed between the government of the DRC and the CNDP, or Accord de Paix entre le Gouvernement et le CNDP, commonly called Accord de Paix du 23 Mars 2009 (RDC 2009). Unhappily, at the end of March 2012, former CNDP combatants deserted from the FARDC and from the national police to start a new rebellion, claiming that the DRC government had failed to implement the peace agreement of 23 March 2009. Besides, it is agreed that the conviction of Thomas Lubanga3 by the ICC on 14 March 2012 sparked renewed calls for Bosco Ntaganda to be arrested. Therefore, former combatants of the CNDP started a mutiny that resulted in the rebellion of M23. Born in Kinigi (Rwanda) in 1973, Ntaganda was part of the Rwandan military that fought for Laurent-Desiré Kabila’s AFDL to topple President Mobutu in May 1997. Facilitated by Rwanda, he returned to the DRC to join the CNDP and thereafter was integrated into the FARDC and promoted to the rank of brigadier-general. In April 2012, he initiated a mutiny that led to the formation of the M23 armed group. Ntaganda is alleged to have personally commanded operations in Ituri and Kiwanja that resulted in serious violations of human rights and of international humanitarian law (Stearns 2013:1–3). In North Kivu, the mutiny by former CNDP elements, which began in April, expanded. On 6 May, a communiqué was published announcing the creation of M23 by a decision of the military wing of CNDP as a result of what it claimed was the Government’s failure to implement the peace agreements of 23 March 2009 (UNSC 2012:3). In early November 2013, the M23 was defeated by the FARDC in a joint military operation assisted by the Intervention Brigade, operating under direct command of the Commander of the UN Forces in the DRC.4 The Intervention Brigade was established by Resolution 2098 (2013) of the UNSC (2013:6), following the initiative of sub-regional organisations such as the International Conference on the Great Lakes Region (ICGLR) and the Southern African Development Community (SADC), in order to neutralise armed groups in the eastern DRC and therefore reduce their threat to state authority. Factors that may explain the military defeat of M23 include: international pressure and sanctions against Rwanda and Uganda, which allegedly supported M23; internal reorganisation and restructuring of the Congolese army; and the internal leadership struggles within M23 (Sadiki 2014:2). The voluntary surrender of Bosco Ntaganda to the United States Embassy in Rwanda, where he requested a transfer to the ICC, and the communiqué of the ICC Prosecutor announcing that the situation in the eastern DRC was being monitored and that high-level perpetrators of mass atrocities would be held liable for their actions, could also be factors. Furthermore, during different stages of the armed conflicts described above, warlords were involved in serious human rights violations and had a hand in the commission of crimes against humanity and war crimes (Nest 2006:12). 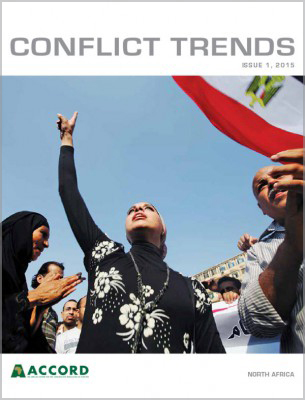 The next section analyses high-level attempts to address the legacies of the conflict. As analysed by the ICTJ (2011:2), the scale and impact of violations require solutions that not only provide a meaningful measure of justice for very large numbers of victims but that also help reconstruct the basic element of trust between citizens and government institutions, which is necessary for the rule of law to function effectively. Among the attempts to deal with the past, the following may be mentioned. The first initiative was the Conférence Nationale Souveraine (CNS) in 1991 dealing with the issues of justice, accountability and good governance. Unfortunately, it failed in its main goal because President Mobutu’s collaborators did not want to face the truth and account for crimes, mismanagement and all kinds of violations against the Congolese people (Tunamsifu 2011:54). The second was the Global and Inclusive Agreement on Transition in the DRC that opted for the creation of the TRC, created by law on 30 July 2004.5 Unfortunately, by the end of the transitional period, it had not opened a single enquiry due to a lack of political will and continuing insecurity in the country. The third initiative was the transitional government’s referral of crimes (ICC-OTP 2004) within the jurisdiction of the ICC committed anywhere in the territory of the DRC after the Rome Statute came into force on 1 July 2002. To date, the court has limited its activities by prosecuting only a handful of perpetrators out of thousands, if not millions. These include four warlords in the Ituri District and two leaders of the FDLR. The fourth initiative was the 2008 Conférence sur la Paix, la Sécurité et le Développement dans les Provinces du Nord-Kivu et du Sud-Kivu that led to the signing of the Acte d’Engagement between the government and rebel groups such as the CNDP and the Patriotes Résistants Congolais (PARECO) (RDC 2008). At that conference the parties agreed on the possibility of a new TRC, but because the CNDP violated the cease-fire, the initiative was not implemented. The fifth was the peace agreement signed on 23 March 2009 between the government and the CNDP. Article 4(1) of Accord de Paix du 23 Mars 2009 (RDC 2009) provides that ‘the Parties undertake to maintain a dynamic of reconciliation, of pacification of hearts and minds, as well as of good inter-cohabitation as a requirement essential for good governance’.6 On 14 March 2012, the ICC found Thomas Lubanga guilty of war crimes – enlisting and conscripting children under the age of 15 years and using them to participate actively in hostilities. Thereafter, on 10 July 2012, he was sentenced to a total of 14 years’ imprisonment (ICC-01/04-01/06-2901:§107 2012). Consequently, Bosco Ntaganda (who was his general) was integrated into the FARDC, deserting from the National Army and claiming that the government of the DRC had failed to fully implement the peace agreement of 23 March 2009. The sixth initiative was the Peace, Security and Cooperation Framework for the DRC and the region, signed on 24 February 2013. In this framework, the government of the DRC renewed commitments to reform the security sector, consolidate state authority and further the agenda of reconciliation, tolerance and democratisation, among other things. Member states of the region also renewed their commitment not to interfere in the internal affairs of neighbouring countries, and to facilitate the administration of justice through judicial cooperation within the region (PSC Framework 2013:2–4). On 24 July 2013 the general auditor of the FARDC issued three international arrest warrants. The government of the DRC sent these arrest warrants through diplomatic channels to the Rwandan authorities, requesting the extradition of former M23 rebels for insurrection, war crimes and crimes against humanity. However, on 8 August 2013 Rwanda refused to extradite these warlords due to the continued existence of the death penalty in the DRC. According to the Rwandan Minister of Foreign Affairs and Cooperation, Louise Mushikiwabo (2013), ‘One of the challenges we must address is how to extradite people to a country that still has the death penalty when we abolished it’. The seventh was the Joint ICGLR-SADC Final Communiqué on the Kampala Dialogue7 between the government of the DRC and M23, under the facilitation of Dr Crispus Kiyonga on behalf of President Museveni. The capitulation of M23 in November 2013 did not prevent the signing of separate declarations by the government of the DRC and by M23, which were combined in the Joint Final Communiqué. The parties thus agreed, among other commitments, to ‘national reconciliation and justice’ (ICGLR-SADC 2013:2). The situation in the DRC demonstrates that civilians continue to pay the price of various armed conflicts, as they cannot defend themselves. From the above, it can be deduced that the need for the past to be officially recognised and publicly revealed is crucial because most of the mechanisms adopted by the Congolese during peace talks have not yet been implemented and those who bear the greatest responsibility have not yet been brought to justice. The reactivation of the TRC remains a need; however, at the time of writing the political will to do this was still not manifest and in the prevailing context, the ongoing fighting between some national and foreign armed groups does not allow such a process to take place. Those Congolese who were directly or indirectly victims in the DRC continue to suffer from massive violations of human rights and of international humanitarian law due to the cycles of armed conflict. In order to move from such a situation to a peaceful future, there is a need to establish mechanisms that would hold perpetrators to account, reveal the truth about what happened and reconcile the nation. An ‘unreconciled’ society, De Greiff (2010:25) argues, is one in which resentment characterises the relations between citizens and between citizens and their institutions. Therefore, it is one in which people experience anger because their norm-based expectations have been threatened or defeated. Indeed, in a stable country, prosecution and punishment of individuals accused of any single crime in the territory of every state is the best way to enforce national criminal laws and therefore promote the rule of law. According to Burchell and Milton (1991:1), ‘some forms of conduct are so deeply disapproved of as to cause the community to believe that some form of retaliation should be taken against those who engage in such conduct’. In this regard, Article 2 of the Congolese Criminal Code of 2004 provides that transgressions committed in the territory of the DRC be punished in accordance with the law.8 Besides, Boraine (2000:281) asserts that ‘prosecutions are a guard against impunity and the risk of future violations’. That is why Burchell and Milton (1991:2) state that detection and apprehension of persons who contravene criminal law may bring them to punishment that involves the infliction of pain or suffering. However, retributive criminal justice in the DRC cannot be the only way to respond to crimes; there is a need for the past to be officially recognised and publicly revealed, so that people can reconcile with the past and victims can be rehabilitated and compensated. In this way, Raoul Alfonsin (cited by Olson 2006:294) argues that ‘punishment is one instrument, but not the sole or even the most important one, for forming the collective moral conscience’. That is why court proceedings, as pointed out by Giannini et al. (2009:6), may not be the best vehicle to uncover the truth, since it is generally in the defendant’s interest to deny guilt in order to evade culpability. Indeed, in addressing widespread mass violations of human rights and of international humanitarian law it seems impossible that everyone will have a fair trial. The Office of the UN High Commissioner for Human Rights assesses that ‘the number of violations reaching the threshold of crimes under international law is so high that even a properly functioning justice system working at full capacity would not be able to handle such a large number of cases’ (OHCHR 2010:450). Hence, alternative mechanisms to criminal law could be a suitable means for the DRC to re-establish peace and promote reconciliation between divided people in the eastern DRC that will lead to a shared future. In a deeply divided society, Boraine (2000:282) argues, punishment cannot be the final word if healing and reconciliation are to be achieved. Hayner (2011:8) points out that ‘[m]any attempts to prosecute and punish those responsible for severe abuses under a prior regime have seen little success’. Thus, in dealing with past abuses, the continued challenges can be understood as follows: since 1996, widespread crimes have been committed in the DRC, but the UN was unwilling to establish an ad hoc tribunal to deal with them. The Congolese judiciary lacks the capacity to deal with widespread violations, and it does not have the political will to hold warlords to account. The ICC has prosecuted only a handful of perpetrators and the original TRC failed to investigate a single case. At the time of writing, the population is still waiting to know the truth about past abuses, but unfortunately conflict amongst armed groups is still ongoing and crimes continue to be committed. This section analyses the importance of the Barza Intercommunautaire dealing with conflicts at the grassroots level in the North Kivu Province. The North Kivu Province has nine major ethnic groups (Hunde, Hutu, Kano, Kumu, Nande, Nyanga, Tembo, Tutsi and Twa), who share a local indigenous mechanism for preventing and solving low-level conflicts. In French, the lingua franca of the area, this mechanism is called Barza communautaire. But there are different names in the local languages, for example Kyaghanda in the Nande community and Bushenge in the Hunde community. 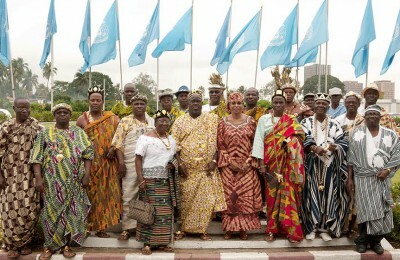 These indigenous groups are combined in a super-organ at the provincial level called Barza intercommunautaire that helps to resolve low-level disputes before they escalate into violent conflicts. It is composed of elected wise men from the different communities who meet with the purpose of treating common problems: preventing and settling disputes between communities; healing the wounded after conflict; and promoting harmony in the society. Thus, Barza intercommunautaire tends to deal with interethnic conflicts, and is encouraged by both traditional and political authorities. Between 1998 and early 2004, the Barza structures generally succeeded in resolving ethnic disputes in North Kivu, particularly those over land ownership, ensuring there were few cases of ethnic violence in its sphere of influence. The work of Barza intercommunautaire was very helpful for the North Kivu communities in setting up dialogue to solve common issues and deal with interethnic conflicts. It should be re-activated and restructured in order to sensitise all ethnic groups, rebuild communities affected by different rebellions, consolidate peace, reconciliation and development, and provide support to the TRC. However, for the Barza intercommunautaire to be able to prevent and resolve conflict and heal the wounded, the leaders should be independent of political parties to avoid political manipulation. Besides, every community must show a gender balance: for every male delegate, there must be a female delegate. Its budget must be supported by the government and donations from partners, and its organs must be decentralised in all six territories that constitute the North Kivu province, dealing directly, for example, with the land conflicts that have become an obstacle to good neighbourliness. As a mechanism of conflict transformation in the North Kivu Province, the Barza intercommunautaire is needed in the peacebuilding process, to address the root causes of violence before, during and after violent conflict. Its ceremonies contain the acknowledgment of wrongful acts, a request for forgiveness, a promise not to repeat the offence, and rituals of purification. In facilitating peace and reconciliation between parties in the conflict, the ‘Barza involves disputants engaging one another through dialogue and ritual – usually under a tree, sharing food and drinking from a common calabash’ as Villa-Vicencio, Nantulya and Savage (cited by Kamwimbi 2008:359–391) point out. Therefore, it is important that the Barza intercommunautaire is prioritised, promoted and restructured for its noble mission. In addition, it will sensitise all affected ethnic groups about pacification and reconciliation in order for the population to own the work of the requested TRC. Because the original TRC failed to investigate even a single case, there is a need to establish a new TRC in response to the different peace agreements signed. In order not to replicate the problems of the previous TRC, and before the new commission is implemented, conflict must be resolved, security restored, capacity and resources made available and the rulers engaged with political will. It is important that such a TRC be established after the 2016 presidential and parliamentary elections – even if Joseph Kabila remains in power beyond his constitutional mandate of two terms. Since 1996 when various armed conflicts began, many peace agreements have been signed between warring parties. Various crimes have been committed, but unfortunately the affected population is still waiting to know the reasons behind those atrocities, the truth about what happened to them and/or loved ones, and for reconciliation, compensation and the prevention of further violence. Instead of perpetrators being held accountable, they have been promoted and granted important positions within the government, the army and the police. The TRC established in 2004 with the mission to establish the truth and promote peace, justice, reparation, forgiveness and reconciliation did not open a single enquiry. Consequently, the root causes of armed conflicts have not yet been addressed, with the result that the DRC remains trapped in a cycle of armed conflict. In this regard, Newman (2002:35) observes that ‘[i]f impunity remains, the social divisions remain open and volatile; if the state has not granted a public acknowledgement of the wrongs of the past, these wrongs constitute a continuing affront to society’. Justice, peace and democracy are not mutually exclusive objectives, but rather mutually reinforcing imperatives. Advancing all three in fragile post-conflict settings requires strategic planning, careful integration and sensible sequencing of activities. Approaches focusing only on one or another institution, or ignoring civil society or victims, will not be effective (UNSC 2004:4). The implementation of the national development plans requires a minimum of trust in institutions by the public. To respond to past abuses and address the needs and demands of victims, transitional justice measures may help to address the root causes of the various armed conflicts that continue to devastate the Congolese population. Judicial mechanisms operating through hybrid criminal courts may hold accountable those who bear the greatest responsibility, and provide reparations for victims. The TRC may provide an opportunity to promote national reconciliation; in addition, it may assist the perpetrators of atrocities to apologise, seek forgiveness and be sentenced to symbolic sanctions. The indigenous organ of Barza intercommunautaire may be helpful in the process of reintegration and the promotion of pacification. To avoid the risk that those removed from the security service sectors might become disputatious militias, a national service programme could be established. People removed from public institutions can be involved in agricultural and/or other projects that contribute to national development. 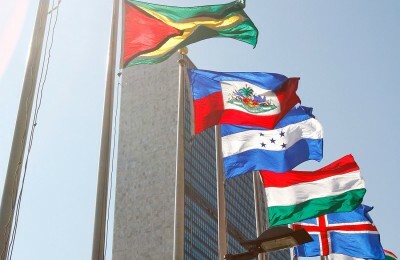 Finally, in order to address the root causes of various armed conflicts and to put an end to the persistent violations of human rights and international humanitarian law, international, regional and national actors should understand that political solutions between warring parties or top-down state building have shown their limitations. It is time to address the root causes of armed conflicts at the local level by involving the affected population, a bottom-up approach. Abdalla, Amr 2009. Basic principles of peace and conflict. In: University for Peace. Peace education: Islamic perspectives. Curriculum/Teaching module for Asia and the Pacific programme. Rawalpindi, Pakistan, Printing Avenue House. pp. 22–52. 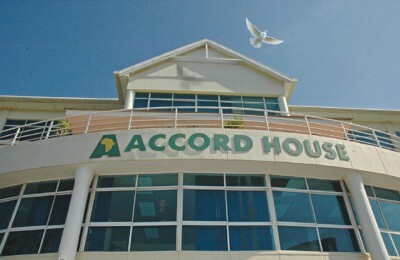 ACCORD (African Centre for the Constructive Resolution of Disputes) 2013. 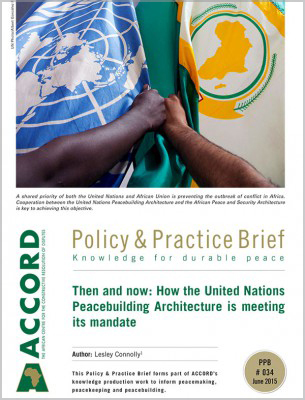 ACCORD peacebuilding handbook. 1st edition. 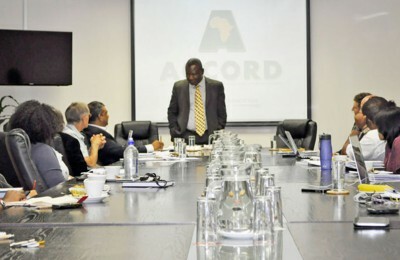 Durban, ACCORD. AZAPO (Azanian People’s Organisation) and Others v President of the Republic of South Africa and Others 1996 (8) BCLR 1015 (CC). Boraine, Alex 2000. A country unmasked: Inside South Africa’s Truth and Reconciliation Commission. Cape Town, Oxford University Press. Buckley-Zistel, Susanne and Magdalena Zolkos 2012. Introduction: Gender in transitional justice. In: Buckley-Zistel, Susanne and Ruth Stanley eds. Gender in transitional justice. London, Palgrave Macmillan. Burchell, Jonathan and John Milton 1991. Principles of criminal law. 1st edition. Cape Town, Juta. Carayannis, Tatiana 2009. The challenge of building sustainable peace in the DRC. Switzerland: Henry Dunant Centre for Humanitarian Dialogue. Available from: <http://www.hdcentre.org/uploads/tx_news/69DRCpaper.pdf> [Accessed 3 February 2015]. Clark, Phil 2010. The Gacaca courts, post-genocide justice and reconciliation in Rwanda: Justice without lawyers. New York, Cambridge University Press. CPI-ICC (Cour Pénale Internationale – International Criminal Court) 2011. Rome Statute of the International Criminal Court 1998 (last amended 2010). Enschede, Print Partners Ipskamp. Davis, Laura 2009. Justice-sensitive security system reform in the Democratic Republic of Congo. Initiative for peacebuilding. 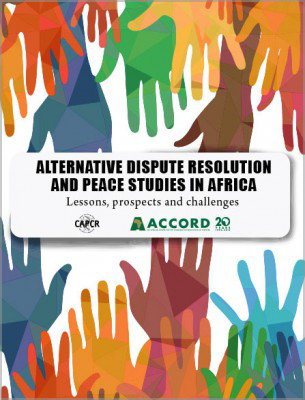 Available from: <http://www.initiativeforpeacebuilding.eu/pdf/Justice_Sensitive_Security_System_reform_in_the_DRC.pdf> [Accessed 3 February 2015]. Davis, Laura and Priscilla B. Hayner 2009. Difficult peace, limited justice: Ten years of peacemaking in the DRC. New York, ICTJ. De Greiff, Pablo 2010. A normative conception of transitional justice. Politorbis, 50 (3), Federal Department of Foreign Affairs, pp. 17–30. Deibert, Michael 2013. The Democratic Republic of Congo: Between hope and despair. London, Zed Books. Doxtader, Erik and Philippe-Joseph Salazar 2007. Truth and reconciliation in South Africa: The fundamental documents. Cape Town, Interpak Books. 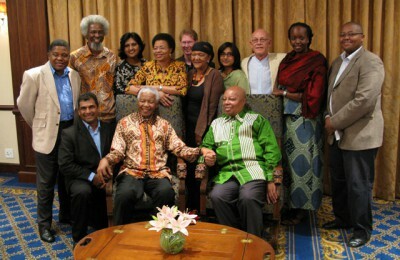 Giannini, Tyler, Susan Farbstein, Samantha Bent, Miles Jackson and John Kani 2009. Prosecuting apartheid-era crimes? A South African dialogue on justice. Boston, MA, Harvard University Press. Hayner, Priscilla B. 2011. Unspeakable truths: Transitional justice and the challenge of truth commissions. 2nd edition. New York, Routledge. HRW (Human Rights Watch) 2010. Seductions of ‘Sequencing’: The risks of putting justice aside for peace. New York, HRW. HRW, 2012. DR Congo: Rwanda Should Stop Aiding War Crimes Suspect. Available from <http://www.hrw.org/news/2012/06/03/dr-congo-rwanda-should-stop-aidi> [Accessed on 11 June 2012]. ICC-01/04-01/06-2901 (International Criminal Court) 2012. Prosecutor v. Thomas Lubanga Dyilo, Decision on Sentence pursuant to Article 76 of the Statute. ICC-OTP 2004. Prosecutor receives referral of the situation in the Democratic Republic of Congo. Available from: <http://www.icc-cpi.int/en_menus/icc/press%20and%20media/press%20releases/2004/Pages/prosecutor%20receives%20referral%20of%20the%20situation%20in%20the%20democratic%20republic%20of%20congo.aspx> [Accessed 1 April 2015]. ICD (Inter-Congolese Dialogue) 2002. Global and inclusive agreement on transition in the DRC: Inter-Congolese Dialogue – Political negotiations on the peace process and on transition in the DRC (2002). Available from: <http://www.issafrica.org/AF/profiles/DRCongo/icd/transagmt.pdf> [Accessed 15 May 2011]. ICD 2003. Inter-Congolese political negotiations – The final act. Signed by the participating parties at the Inter-Congolese Dialogue, Sun City, South Africa, 2 April 2003. ICG (International Crisis Group) 2009. Congo: Five priorities for a peacebuilding strategy. Crisis Group Africa Report No. 150, 11 May. Available from: <http://www.observatori.org/paises/pais_57/documentos/150_congo____five_priorities_for_a_peacebuilding_strategy.pdf> [Accessed 3 February 2015]. ICGLR (International Conference on the Great Lakes Region) and SADC (Southern African Development Community) 2013. Joint ICGLR-SADC Final communiqué on the Kampala Dialogue 2013. Available from: <http://www.sadc.int/files/8813/8718/4199/COMMUQUE_ENGLISH0001.pdf> [Accessed 13 December 2013]. ICTJ (International Center for Transitional Justice) 2011. Transitional justice in the United Nations Human Rights Council. Available from: <https://www.ictj.org/sites/default/files/ICTJ-Global-TJ-In-HRC-2011-English.pdf> [Accessed 24 April 2012]. ICTJ no date. Institutional reform. Available from: <http://ictj.org/our-work/transitional-justice-issues/institutional-reform> [Accessed 31 May 2013]. Kamwimbi, Theodore Kasongo 2008. Between peace and justice: Informal mechanisms in the DR Congo. In: Aertsen, Ivo, Jana Arsovska, Holger-C. Rohne, Marta Valií±as and Kris Vanspauwen eds. Restoring justice after large-scale violent conflicts: Kosovo, DR Congo and the Israeli-Palestinian case. Cullompton, UK, Willan Publishing. Kerr, Rachel and Erin Mobekk 2007. Peace and justice: Seeking accountability after war. Cambridge, Polity Press. Kisangani, Emizet François 2012. Civil wars in the Democratic Republic of Congo 1960–2010. London, Lynne Rienner. Kova, Maja 2007. Vetting as an element of institutional reform and transitional justice. Institute of Criminological and Sociological Research, [Belgrade] XXVI (1–2). pp. 53–75. Lotze, Walter, Gustavo Barros de Carvalho and Yvonne Kasumba 2008. Peacebuilding coordination in African countries: Transitioning from conflict case studies of the Democratic Republic of the Congo, Liberia and South Sudan. Occasional Paper Series, Volume 3, Number 1. 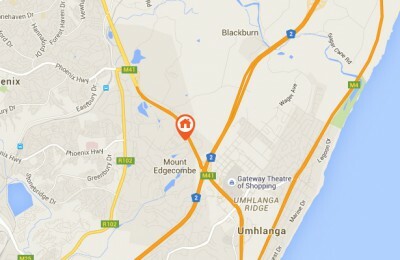 Durban, ACCORD. Mpongola, Diku D. 2010. 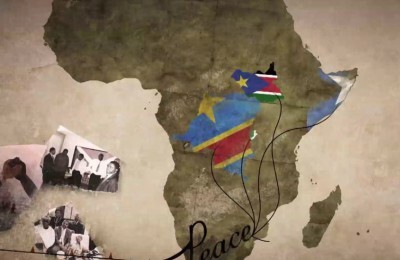 Dealing with the past in the DRC: The path followed? In: Politorbis Dealing with the past. Bern, Federal Department of Foreign Affairs. pp. 181–184. Mushikiwabo, Louise 2013. Rwanda’s Foreign Minister discusses DRC extraditions, FDLR and evicted Rwandans from Tanzania. Available from: <http://www.minaffet.gov.rw/index.php?id=886&tx_ttnews%5Btt_news%5D=593&cHash=c701d6cfd062606f7f0ea3733dd52bfc> [Accessed 9 September 2013]. Nabudere, Dani Wadada and Andreas Velthuizen 2013. 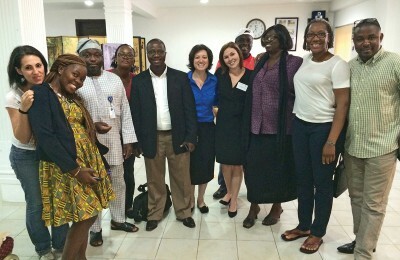 Restorative justice in Africa: From trans-dimensional knowledge to culture of harmony. Pretoria, Africa Institute of South Africa. Nalepa, Monika 2011. Lustration as a trust-building mechanism? Transitional justice in Poland. Available from: <http://www3.nd.edu/~mnalepa/index_files/13%20Lustration%20as%20a%20trust%20building%20mechanism.pdf> [Accessed 28 March 2013]. Nerlich, Volker 2008. The contribution of criminal justice. In: Du Bois, François and Antje Du Bois-Pedain eds. 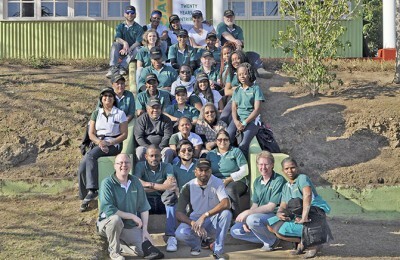 Justice and reconciliation in post-apartheid South Africa. Cambridge, Cambridge University Press. pp. 90–115. Nest, Michael 2006. The Democratic Republic of Congo: Economic dimensions of war and peace. Boulder, CO, Lynne Rienner. Newman, Edward 2002. Transitional justice: The impact of transnational norms and the UN. In: Newman, Edward and Albrecht Schnabel eds. 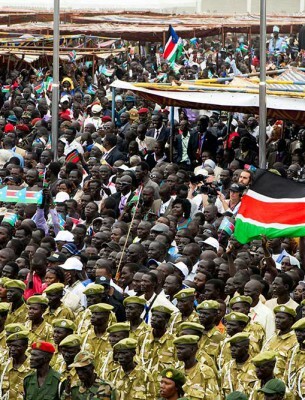 Recovering from civil conflict: Reconciliation, peace and development. London, Frank Cass. pp. 31–50. 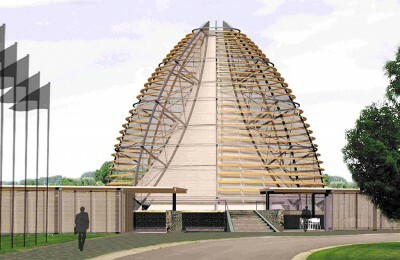 Nzongola-Ntalaja, Georges 2002. Civil war, peacekeeping, and the Great Lakes Region. In: Laremont, Ricardo René ed. 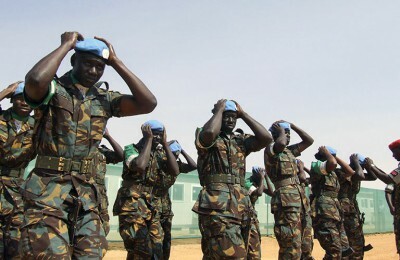 The causes of war and the consequences of peacekeeping in Africa. No city, Heinemann. pp. 91–115. OHCHR (Office of the High Commissioner for Human Rights) 2010. Report of the Mapping Exercise documenting the most serious violations of human rights and international humanitarian law committed within the territory of the Democratic Republic of the Congo between March 1993 and June 2003. Available from: <http://www.genocidewatch.org/images/DRC10_06_xx_Report_Draft_Democratic_Republic_of_the_Congo_1993–2003.pdf> [Accessed 18 June 2014]. Olson, Laura M. 2006. Provoking the dragon on the patio – matters of transitional justice: Penal repression vs. amnesties. International Review of the Red Cross, 88 (862), pp. 275–294. PCIJ (Permanent Court of International Justice) 1927. Case concerning the Factory Chorzí³w. Publications of the Permanent Court of International Justice. Series A. –N0.9. PSC Framework 2013. Peace, Security and Cooperation Framework for the Democratic Republic of the Congo and the region. Available from: <http://www.peaceau.org/uploads/scanned-on-24022013-125543.pdf> [Accessed 22 September 2014]. RDC (République démocratique du Congo) 2008. Acte d’Engagement du 23 Janvier 2008. RDC 2009. Accord de Paix entre le Gouvernement de la RDC et Congrès National pour la Défense du Peuple (CNDP) du 23 mars 2009 í Goma. Reyntjens, Filip 2009. The great African war: Congo and regional geopolitics, 1996–2006. Cambridge, Cambridge University Press. Sadiki, Koko 2014. The Mouvement du 23 Mars and the dynamics of a failed insurgency in the Democratic Republic of Congo. 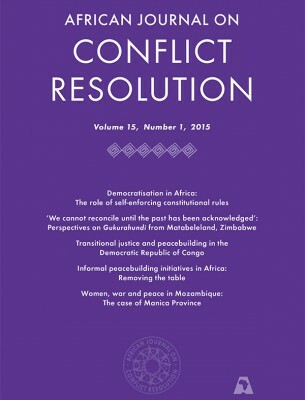 South African Journal of International Affairs, 21 (2), pp.1–18. Sarkin-Hughes, Jeremy 2004. Carrots and sticks: The TRC and the South African amnesty process. Antwerp, Intersentia. Savage, Tyrone 2006. In quest of a sustainable justice: Transitional justice and human security in the DRC. Pretoria, Institute for Security Studies. Smith, Christoffel Lodewikus 2012. The rise and fall of war crimes trials: From Charles I to Bush II. New York, Cambridge University Press. Stamp, Gavin 2006. The memorial to the missing of the Somme. London, Profile Books. Stearns, Jason 2013. Strongman of the eastern DRC: A profile of General Bosco Ntaganda. Rift Valley Institute Briefing. Available from: <http://riftvalley.net/publication/strongman-eastern-drc#.VCE6_WNcNWI> [Accessed 11 July 2014]. Teitel, Ruti G. 2000. Transitional justice. New York, Oxford University Press. Teitel, Ruti G. 2014. Globalizing transitional justice: Contemporary essays. New York, Oxford University Press. Tunamsifu, Shirambere P. 2011. Culture of peace I: Conflict resolution, peace and law. Master curriculum development designed in the field of Peace and Conflict Studies. San José, UN-affiliated University for Peace. 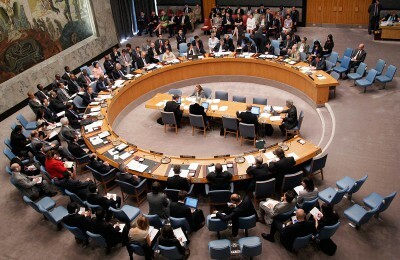 UNSC (United Nations Security Council) 2004. Report of the Secretary-General on the rule of law and transitional justice in conflict and post-conflict societies (S/2004/616). Available from: <http://www.unrol.org/files/2004%20report.pdf> [Accessed 10 August 2010]. UNSC 2012. Report of the Secretary-General on the United Nations Organization Stabilization Mission in the DRC (S/2012/838). Available from: <http://reliefweb.int/sites/reliefweb.int/files/resources/N1257423.pdf> [Accessed 30 April 2013]. UNSC 2013. Resolution 2098 (2013). Adopted by the United Nations Security Council at its 6943rd meeting on 28 March 2013. [on extension of the mandate of the UN Organization Stabilization Mission in the Democratic Republic of the Congo (MONUSCO) until 31 Mar. 2014], 28 March 2013, S/RES/2098 (2013). Available from: <http://www.securitycouncilreport.org/atf/cf/%7B65BFCF9B-6D27-4E9C-8CD3-CF6E4FF96FF9%7D/s_res_2098.pdf> [Accessed 16 June 2013]. Van Schaack, Beth and Ronald C. Slye 2010. International criminal law and its enforcement: Cases and materials. 2nd edition. St. Paul, MN, West Academic Publishing. Velthuizen, Andreas G. and Shirambere P. Tunamsifu 2014. Post-conflict reconstruction in the Eastern DRC: Current prospects for sustainable peace (working paper). The Democratic Forces for the Liberation of Rwanda or Forces Démocratiques pour la Liberation du Rwanda (FDLR). The coalition was arranged by the Rwandan government in Kigali between the heads of several rebel movements. These were André Kisase Ngandu who led the Conseil National de la Résistance pour la Démocratie (CNRD), Déogratias Bugera who led the Alliance Démocratique des Peuples (ADP), a young former Rwandan Patriotic Force member, Anselme Masasu Nindaga, and Laurent Kabila who led the Parti de la Révolution du Peuple (PRP). See Deibert (2013:55). Thomas Lubanga was the Commander in Chief of the Forces Patriotiques pour la Libération du Congo and Bosco Ntaganda was the Army Chief of Staff. Lubanga was found guilty by the ICC of the war crime of conscripting and enlisting children under the age of 15, and using them to participate actively in hostilities in Ituri. Thereafter, international pressure was exerted upon the DRC government to execute the warrant of arrest against Ntaganga who was prosecuted for the on the same charges and transferred to the ICC. (HRW 2012). 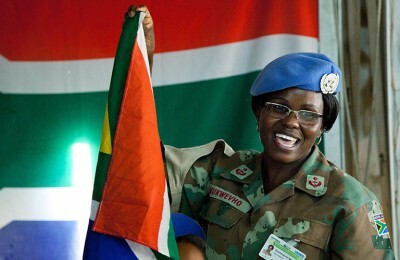 The United Nations Organization Stabilization Mission in the DRC, or Mission de l’Organisation des Nations Unies pour la Stabilisation en République Démocratique du Congo (MONUSCO). Loi N°/04/018 du 30 Juillet 2004 portant organisation, attributions et fonctionnement de la Commission Vérité et Réconciliation. Translated from the original French: «Les parties s’engagent í entretenir une dynamique de réconciliation, de pacification des cÅ“urs et des esprits, ainsi que de bonne cohabitation intercommunautaire en tant qu’exigence primordiale de bonne gouvernance». The Joint ICGLR-SADC Final Communiqué on Kampala Dialogue was signed by the Chairpersons of ICGLR, H.E. President of Uganda Yoweri Kaguta Museveni, and H.E. President of Malawi Joyce Banda, in Nairobi on 12 December 2013. Translated from the original French: ‘L’infraction commise sur le territoire de la République est punie conformément í la loi’. Code Pénal Congolais Journal Officiel de la RDC n° Spécial du 30 Novembre 2004. See Velthuizen and Tunamsifu 2014.